Cepheus Modern is a 2d6-based OGL game based on Cepheus Light, for playing campaigns set in the modern era. Whatever your game is: modern paramilitary, retro espionage, World War II battles, mysterious explorers, or renegade hacktivists; Cepheus Modern has you covered. 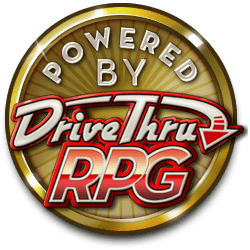 This rules-light game offers character creation with a variety of modern careers, skills and equipment, rules for resolving actions in and out of combat, and a complete animal/creature creation system. Do you like your modern games with a dose of strangeness? Cepheus Modern has that as well, with chapters covering Psychic Powers, Cybernetics, Urban Fantasy, and Aliens! Run your game as straight reality or with as little or much weirdness as you like. To add more sci-fi to your game, consider using this game with Cepheus Light. 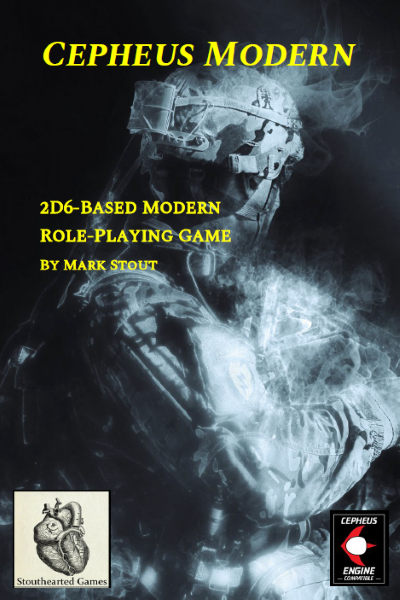 Cepheus Modern is compatible with Cepheus Light, the Cepheus Engine System Reference Document, and other 2d6 OGL games with some conversion.